We notice that the overall gain in places is only 36%, from 389 now to 529 when complete and we are disappointed that more places cannot be provided. Given the likely continued need for increasing parking at the station and indeed in the town it would appear to be prudent to build into the new design the capability for future expansion. We are disappointed that there appears to be no improvement in the drop off and pick up facilities. 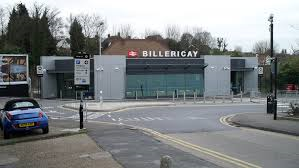 Billericay is essentially a commuter station and particularly in the evening, and even more particularly when it is raining, there is a demand for a pick up capability which does not disrupt buses and takes cognisance of the somewhat unpredictable arrival times of trains. We believe this should be addressed. An improved short term parking facility would also be appropriate. We applaud the fact that the applicants appear to be following the appropriate processes correctly. We believe that action should be taken to mitigate the likely unsightliness of the final construction perhaps by means of trees along Radford Way and on the lineside. We assume that as the number of additional places is currently limited to 140 this further supports the retention of the Radford Crescent car park, which currently has c100 places. We trust that the opportunity will be taken to use the additional places to address the current on street commuter parking which is concerning residents in the surrounding area. We would ask that the plans take due account of increasing car widths when considering parking bay sizes.